If you would like your donation to be used for a specific purpose or project, please provide this information when you make your donation. 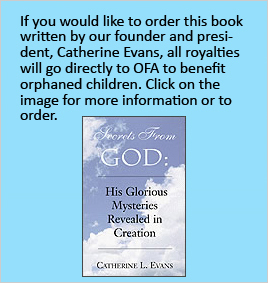 Alternatively, if you wish your gift to be used where the need is greatest we will allocate it to Orphanages for Africa's projects at our discretion. OFA is a non-profit corporation and charitable contributions are tax deductible. For details on how to give by direct bank transfer, please email us via our Contact Us page. 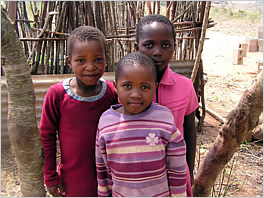 Orphanages for Africa - U.S.A.
All contributions to Orphanages for Africa - U.S.A. (OFA-USA) are fully deductible up to IRS limits as a charitable contribution according to Section 501(c)(3) of the Internal Revenue Code and become the property of OFA-USA.